If you run a small fleet of commercial trucks, you are well aware that larger fleet operators can out hire, outperform and out buy you. CTA understands how hard it is to compete in the marketplace and how hard you work to stay competitive. We created a Small Fleet Program so that you can work smarter and compete more effectively in the industry by leveraging CTA member resources. 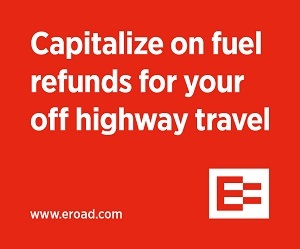 Small Fleet Program benefits are easy to use and access. You gain peace of mind knowing that the resources and benefits available to members are backed by CTA’s reputation and expertise in the areas of operations, government affairs and networking. When legal issues arise, CTA small fleet members can turn to CTA’s team of skilled attorneys to find answers. Each member is allocated 15 minutes per month of free legal advice. Whether it’s a question about Labor Laws and meal requirements, inquiries about overtime regulations, or clarification regarding vendor invoicing policies, CTA’s legal staff can offer guidance. 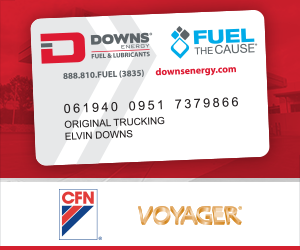 Small fleet owners rely on this service to receive timely responses to critical concerns. Compliance is an integral part of the trucking industry. Yet, for the small fleet owner, monitoring and staying abreast of compliance issues and regulatory information can be a full-time job. CTA’s Compliance Help Desk provides access to information on a range of topic, including: electronic logging devices, hours of service, terminal access procedures, DOT drug and alcohol regulations, driver qualification requirements, truck weight/route axles/length limits, and much more. The Help Desk is open Monday through Friday from 8:30 am to 5:00 pm and calls are returned within 24 hrs. Contact the CTA Help Desk at (916) 373-3500. 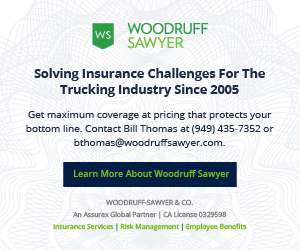 California rules and regulations related to the trucking industry can be baffling, but CTA is available to answers your Department of Motor Vehicle questions. CTA staff can make sure your vehicles are registered accurately and legally. Small Fleet members can take advantage of this competitively priced service provided by a trained team and wave the hassle dealing with vehicle registration goodbye. Call (916) 373-3525 for registrations services or for DMV questions. If your goal is to be in the know about the issues that are at the forefront of the trucking industry, then you will want to get to know CTA’s new webinar series. Our webinars address some of the hottest topics, including: Navigating the Health Insurance Maze, Succession Planning for Small Fleet Owners and an array of Human Resource topics. Webinars will be added as new topics emerge. Training is a critical component in maintaining a safe workplace, lowering insurance costs, and ensuring happier employees. There is no need to hire costly trainers when Small Fleet Program participants can take advantage of the discounted, comprehensive training offered through J.J. Keller’s Training-on-Demand. With over 370 interactive course titles and over 115 video on demand topics, small fleet owners can conduct training at a time and location that works for the team. Members receive a 20 percent discount on training. Courses cover Workplace Safety, Hazwoper, Hazmat, Lab Safety, Construction and more. CTA’s most popular training program, Leadership Academy, just got even more exciting for Small Fleet members. We’ve reserved several spots for Small Fleet Program managers. This is good news because registration for this event is limited and closes quickly. This two-day program offers the latest practical techniques and tools to help participants unlock their leadership potential. Organizations need effective leadership, without it they can falter and fail to achieve their full potential. Some of the best CEOs are those who rise through the ranks. The CTA Leadership Academy is designed to provide the next generation of managers with the skills to become effective leaders and to prepare them to serve their companies, communities, the industry and their association more effectively. The course focuses on growing and developing the personal and professional skills. As skills are refined, participants demonstrate more confidence and self-assurance, which is essential to becoming a stronger leader. Admission to the program will be made on a first come basis, however, # spaces are reserved for small fleet owners. Questions may be directed to Dana Brooks, V.P. 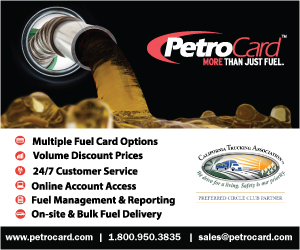 of Membership and Business Development at (916) 373-3550 or dbrooks@caltrux.org. When complex state and federal trucking regulations are too confusing to navigate alone, CTA provides face-to-face options for learning opportunities to small fleet companies. To provide maximum flexibility, there are two ways to receive face-to-face training. Members can attend seminars that are conducted in Northern or Southern CA or CTA can come to you. The Association offers private consultations to help make sure your company is in compliance. For more information contact Heather Oneto at honeto@caltrux.org. 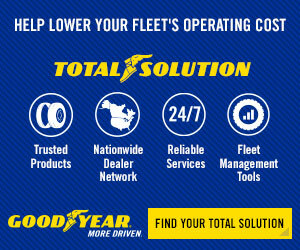 Goodyear provides members with the broadest and deepest tire discount program ever! It is no longer necessary to hunt for the best tire deals. This CTA discount follows your fleet! Should a driver blow a tire in Indianapolis, use your CTA discount to get the best deal on your replacement tire. 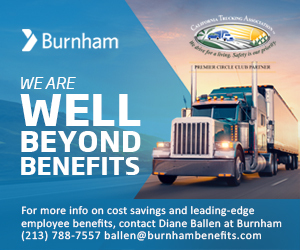 Whether you run one truck or dozens, you will receive this substantial discount based on the breadth and buying power of the CTA membership base. For pricing log into your members only info hub. For a complete list of tire pricing and for Allied member pricing, contact Rick Huseman at (707) 249-2138 or rick_huseman@goodyear.com. All paper forms: DVIRs, logs, annual inspections, driver qualification, bills of lading, alcohol & drug file folders, envelopes, and maintenance folders. Pocketbooks, handbooks, placards & holders, accident kits and cameras, document holders, labels, markings, stickers, signs, tags, oversize load flags and banners, atlases, employment law posters, security seals, wall charts, warning triangles, wheel chocks, first aid kits. DVD programs, video books, and training on demand. Chains, cargo straps, cargo bars, winches, ratchet straps, bungee cords and more! Over the past several years, continued legislative and regulatory activity has affected the California trucking industry. As a small fleet owner, whether you are interested in sharing your point of view or simply keeping apprised of local, state and federal changes to ensure compliance, there are many ways to participate in CTA’s government affairs activities. Members committed to playing an active role can become a Kingpin, participate in Call on Washington or join industry leaders for California Trucking Days. These events offer opportunities to share your perspective and concerns and offer insight to those who are impacting policy. If your goal is to remain current on legislative issues and changes, Government Affairs monitors thousands of bills and advocates on behalf of members and through its updates and publications helps owners understand how these bills will impact their businesses. Covering the state with 12 regional Units, CTA provides local engagement and networking opportunities as well as representation before state and federal governments. Every member, large or small, has one vote and exercises his or her vote at their Unit meetings. In addition to Units, annual meetings and other CTA sponsored events bring members from across California together to share information and expand their professional contacts.